BlackBerry released its preliminary second quarter financial results today, and as jargon-y as that sounds, the company dropped some major bombshells. We'll start with the news that affects consumers directly: BlackBerry has decided to chop its future smartphone portfolio from six devices to four. Cost-saving measures are to be expected, but there's more. The phone maker will now focus on making "enterprise and prosumer-centric targeted devices," producing for that space two high-end devices and two entry-level devices. 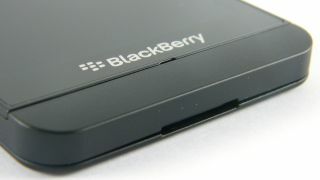 All-touch and QWERTY models are in the offing, but the days of BlackBerry ardently plying phones to consumers are over. "We are implementing the difficult, but necessary operational changes announced today to address our position in a maturing and more competitive industry, and to drive the company toward profitability," CEO Thorsten Heins said in a BlackBerry press release. "Going forward, we plan to refocus our offering on our end-to-end solution of hardware, software and services for enterprises and the productive, professional end user." Additionally, following this week's announcement of the BlackBerry Z30, BlackBerry wants to re-tier its predecessor, the disappointing Z10, making it available to "a broader, entry-level audience." BlackBerry reiterated a special committee continues to explore strategic alternatives for the company's future, which it has stated includes an all-out sale. Of course, BlackBerry wouldn't just up and decide to shift its attention to the enterprise and prosumer space. It would have to be losing bucket-loads of money. Well, it is. According to the company's preliminary calculations, it expects a net operating loss of approximately $950 million to $995 million for the second quarter, or about £592m/AU$1.01b to £621m/AU$1.05b. A huge portion of that - $930 million (about £580m/AU$988m) to $960 million (about £599m/AU$1.02b) - is a primarily non-cash, pre-tax inventory charge "resulting from the increasingly competitive business environment impacting BlackBerry smartphone volumes." That's the nice way of saying the Z10 didn't sell, and now BlackBerry is sitting on a mountain of unsold BlackBerry 10 handsets. A $72 million (about £44.9m/AU$76m) restructuring charge is also in there, as well. Cutting even deeper to the quick, BlackBerry's restructuring will result in the lay off of 4,500 employees, or about 40% of its workforce. As for whatever positives there are, BlackBerry expects to pull in second quarter revenue of $1.6 billion (about £998m/AU$1.7b) and sales of 3.7 million smartphones. Sadly, most of the smartphones recognized in that figure run the older BlackBerry 7 OS. The company won't count shipped BB10 devices until they're sold to consumers. The measures it's taking are done in the hopes BlackBerry can shrink its operating costs by about 50% by the end of the first 2015 fiscal quarter, though whether there's a BlackBerry to report financials on by then remains to be seen. The company is due to discuss final Q2 2014 results on Sept. 27. BlackBerry is still releasing BBM for Android and iOS though.